Ammonia is a common staple widely used in the manufacturing industry of cleaning products and has multiple uses. It’s widely used cleaning and bleaching agent with many applications. 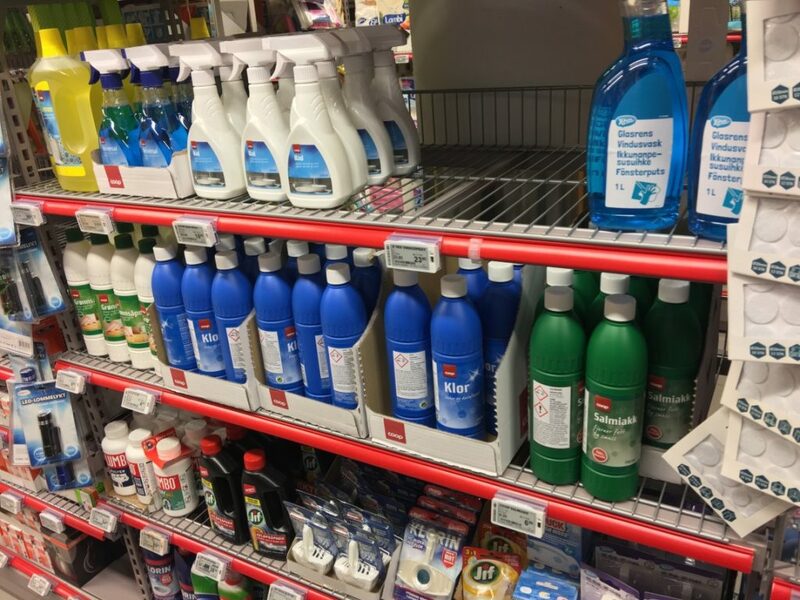 Almost everyone has a cleaning product that contains ammonia in their pantry.Most window cleaners contain ammonia thanks to its powerful cleaning properties. 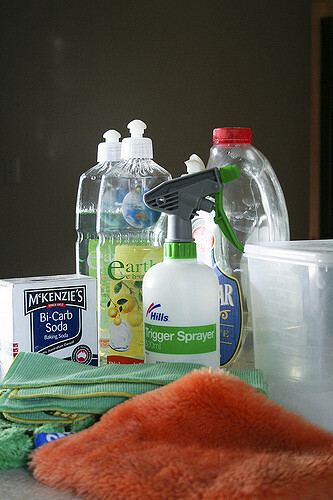 Ammonia is suitable for cleaning a variety of surfaces in our homes. 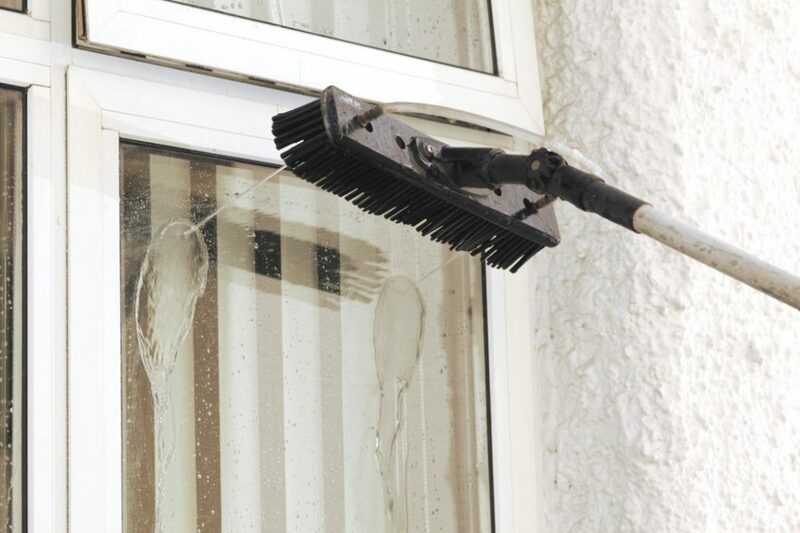 It’s an amazing low-cost window cleaning option which can bring us the desirable result.When it comes to the battle with streaks, adding ammonia to our homemade window cleaner is our best solution. Ammonia used for cleaning sinks, tubs, toilets, tiles, kitchen countertops with amazing quality without getting any streaks afterwards. It’s strong enough to break down completely greasy build ups and oils on different glassy surfaces without damaging the glass. Ammonia is also used for successful cleaning of cooking grease and wine stains. Ammonia has a really powerful effect in breaking down different types of stains caused by animal fats, grime, vegetable oils like grease and it’s working against wine stains too. Since ammonia evaporates pretty quickly, it’s most often used as a component in glass cleaning solutions to prevent the appearance of streaks.So there is no wonder ammonia is a key component in window cleaning detergent. Ammonia can be found naturally in the environment. Ammonia is in the water, in the air, in the soil, in the plants and even in living creatures like animals and humans and tiny bacteria molecules. It’s a fact that our bodies produce ammonia when the body digests such foods that contain protein. It breaks it down to amino acids and ammonia. After this the human body converts the ammonia into urea. Ammonia and ammonium ion are essential components of metabolic processes in human health. It has the amazing ability to renew naturally since it is a part of the nitrogen cycle that takes place when the plants fertilize. The result of this natural process is that the ammonia doesn’t last long in the environment and it doesn’t bioaccumulate too. Ammonia is also a main building block for ammonium nitrate fertilizer. It’s a source of nitrogen which is an important nutrient for growing plants that include lawns and farm crops. A big part of the mass-market home cleaning products every household owns contain one and the same ingredient – ammonium hydroxide. Ammonia is also used in different industrial and manufacturing uses. It is utilized as a refrigerant gas in the production of air-conditioning equipment because of its special ability – to absorb considerable amount of heat from the surrounding environment. Moreover ammonia is used for its purifying abilities. It’s excellent forpurifying water supplies and it’s also a key component in the manufacturing of different products like fabrics, plastics, explosives, dyes, pesticides. Around 90% of the produced ammonia is used in fertilizers manufacturing. Ammonia is also applied in the treatment of rubber, waste and wastewater, paper and pulp cold storage and also in the production of pharmaceuticals. Besides being used as a good source of nitrogen, ammonia is also used as a stabilizer and neutralizer in the beverage and food industry. Ammonia (known as NH3) is a translucent gas with a characteristic sharp odor and it acts as a building-block chemical. It’s a main ingredient in the production of a wide variety of products we use in our daily lives. There is no need to mention when using cleaning products that contain ammonia we should proceed with caution and don’t forget to read all the instructions on the product’s label. When using such products we should make sure the place where we are working is well-ventilated or the doors and windows are opened. When working with ammonia products we should always wear some protective clothing and eye protection. Exposure to ammonia can cause skin and eye irritation and it’s harmful for our lungs. Don’t combine ammonia with chlorine bleach because this creates chloramines – gases that are very toxic.Chloramine exposure can lead to chest pain, nausea, coughing, irritation to the eyes, nose, throat, shortness of breath,pneumonia, lead to fluid in the lungs and also cause stomach disorders. If a person accidentally swallows ammonia, this can cause burning of the mouth, the throat. Ammonia ingestion can cause severe pain in the abdominal area. In a case of ingestion a cleaning product that contains ammonia, we should immediately get medical help. We should also read the safety instructions on the product label to learn what measures to take while waiting for a medical help. In fact medical tests can discover ammonia content in blood and urine. 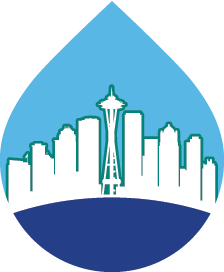 Since ammonia can be found naturally in our surrounding environment, we are constantly exposured to very low levels of ammonia in water, air and soil. Therefore these tests cannot be considered trustworthy biomarkers of exposure. 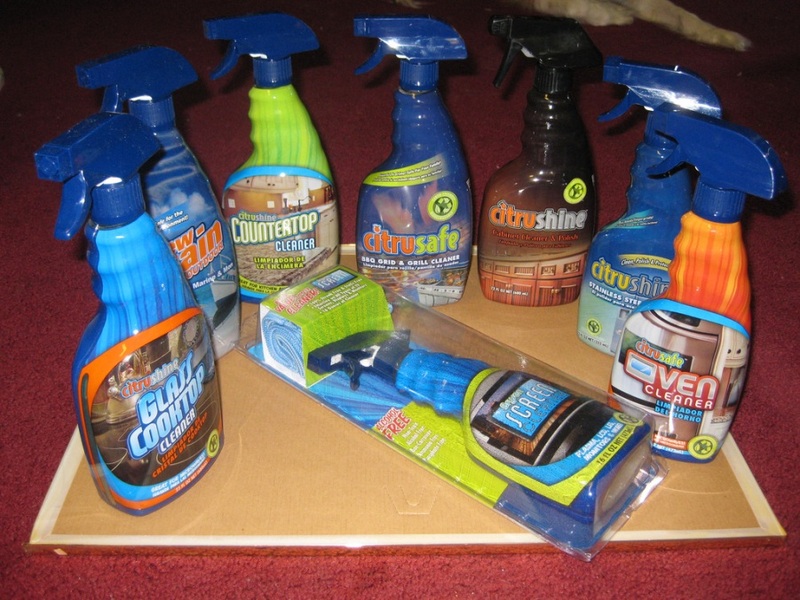 Remember that if you choose to use ammonia to clean windows you should use an unscented brand. But a lemon-scented ammonia will do the job too. 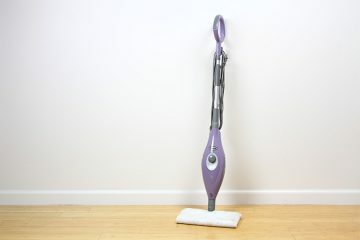 The lemon scent removes some of the ammonia odor from the cleaning solution. Again it’s not recommended to add bleach to the mixture as it can cause toxic fumes. Avoid cleaning with ammonia in direct sunlight because the sun rays will make the solution dry too quickly and streaks may appear on the glass no matter how well we try to clean them off. 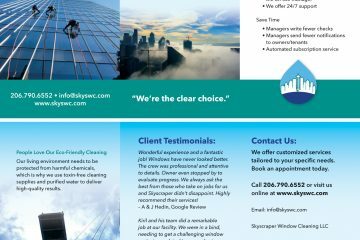 The advantage of DIY window cleaner recipes is that they are not only cheaper than the mass market window cleaner products and does not contain the abundance chemicals commercial window cleaning products have. 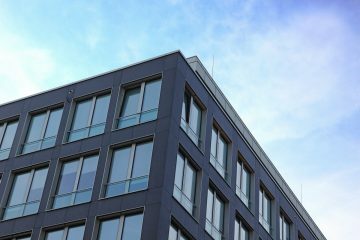 Cleaning windows with ammonia product achieves a perfect end result comparable to this achieved by the leading store-bought commercial products. By preparing a simple recipe for ammonia cleaner at home we can save ourselves time and money and get a great cleaning result everytime. Quart spray bottle, funnel,measuring cup and spoons, permanent marker, liquid dish detergent, rubbing alcohol (isopropyl). 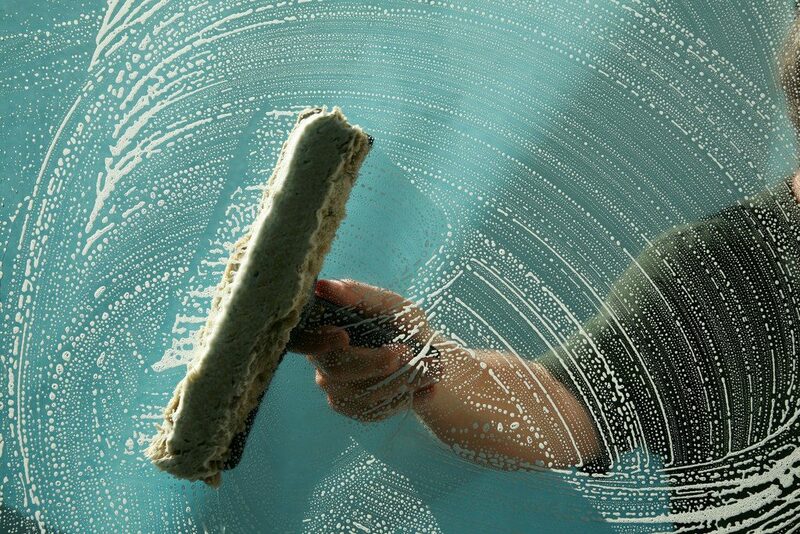 The 70 percent rubbing alcohol will prevent the appearance of streaks on the glass window. Fill the spray bottle with around 760 ml of warm water after taking off the spray mechanism. Put the funnel to the bottle and add to it ½ cup of rubbing alcohol then add 2 tablespoons of ammonia, ¼ teaspoon of some liquid dish-washing detergent. Make sure to use such a detergent that is alkaline –based and acts against grease. Put back the bottle’s spray mechanism and tighten the lid well. Shake the bottle gently to mix all the ingredients well. Some light suds may appear. 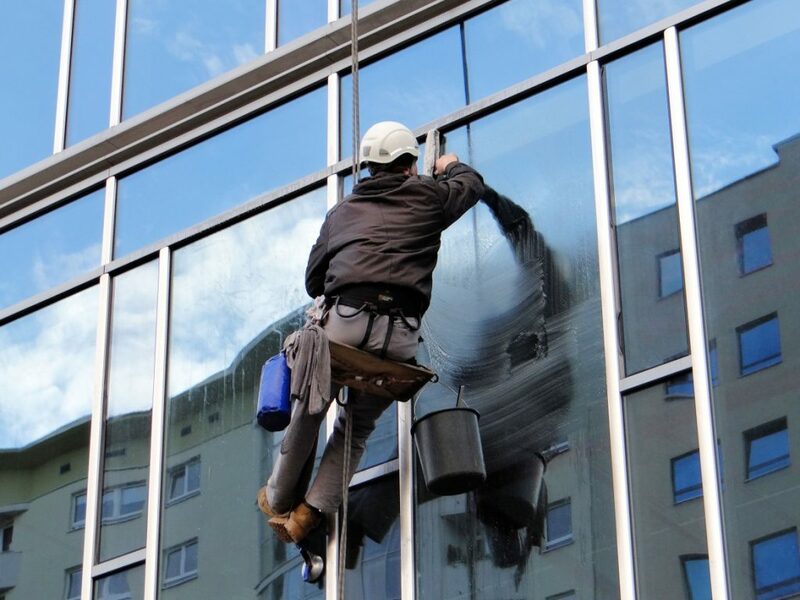 This type of ammonia-based window cleaner works perfect job for stained mirrors, windows and glass and its result even exceeds the result of some commercial products. The combination of ammonia and rubbing alcohol is really effective against bacteria and germs. It can be used effectively for metallic surfaces or countertops where we want to avoid any streaks. Mix 2 tbsp. of ammonia with 2 quarts warm water. If we don’t have ammonia we can use white vinegar instead. Another recipe for ammonia solution is to mix half a cup of ammonia, one pint of rubbing alcohol, one teaspoon of liquid dishwashing detergent. Add to it enough water to get a one gallon solution. The rubbing alcohol in this mixture keeps all the streaks at bay. This one is for soapy ammonia detergent. This type of ammonia window cleaner consists of 4 parts water, 1 part ammonia, small amount of dish soap. This particular recipe for soapy ammonia is enough to for preparing 760 – 940 ml bottle. This solution is for more than a 1/8 cup. The supplies we need for this recipe are ammonia, rubbing alcohol, water, dish soap, measuring cups/spoons, basic funnel and a 26-32 oz. empty spray bottle. The important thing we should remember is that as it’s the case with any cleaning solution, always spray first on your towel or rag and not on the surface we want to clean. This will not let the solution to drip into the edges of the glass or within the wood of the frame which can lead to erosion. When using ammonia-based window cleaner we can use paper towels, microfiber towels, even old newspapers and microfiber cloths which are really effective in avoiding getting any streaks on your window glass. Microfiber clothes for example don’t leave tiny particles of paper on the glass and can be rewashed after the cleaning and be used multiple times. Use what feels most comfortable for you. If you are wondering whether you can use safely window glass cleaner that has ammonia in it on replacement windows, you should contact your window manufacturer or visit their webpage to get an advice. Finally, don’t forget to label the bottle with the DIY ammonia solution such as “Ammonia Glass Cleaner” or “Glass Cleaner.” As this will prevent you from mistaking it for another household cleaning product.